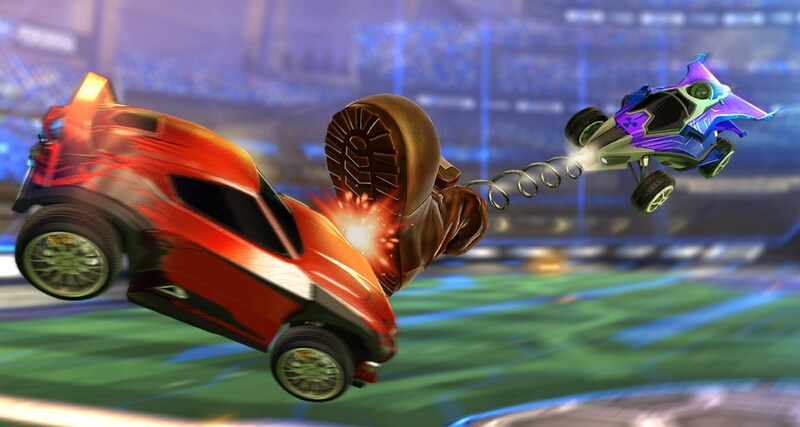 Just in case Rocket League wasn’t already chaotic enough in its more normal modes (yes, that includes Snow Day), its creator decided to take the craziness even further with a brand new mode. One that features genuinely awesome power-ups, and randomized ones at that. Also, a “crates and key” system because money. The mode itself will be free to everyone in an update that’s already live, however. As far as the description of said mode goes, well, Rumble is essentially a battle royale thing – with power-ups. Did I mention power-ups? Or how there’s a grand total of eleven, each of which will really mix things up, from punching the ball to a ‘location swapper’, and even a tornado (wait, what?)? Carnage incorporated for sure, in both online playlists and private / exhibition matches. Best of all, those last two lets ya enable mutators, cranking it up to eleven! Eleven… power-ups. Yeah.